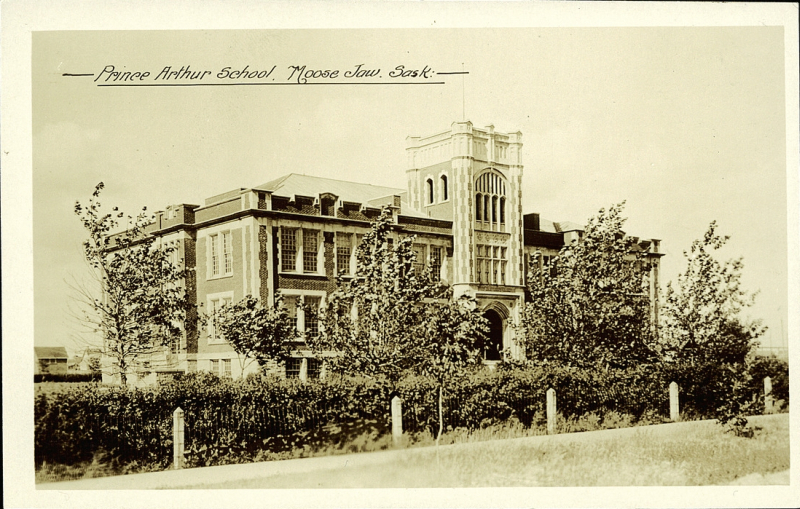 Prince Arthur School. Peel Library Postcard Collection. Postcard 12731, Published by Gowen Sutton Co.
What does a renovated historic school look like? On Sept. 28, Heritage Regina is offering a bus tour of renovated historic schools of Moose Jaw! Moose Javians will be on hand to take us inside their 100-year-old-plus schools. We’ll get to learn about their history and details of the renovations that have been done. A limited number of tix are available at Groovy Mama or from members of Heritage Regina, Save Our Connaught and the Connaught SCC. $25 adults, $15 kids 13 and under, infants free. Lunch is not included in the ticket price. You can reserve a ticket by replying to this email. The National Trust for historic buildings recommends that any school community being asked to make a decision on the future of a heritage school should be given the opportunity to tour renovated schools. Thanks to Heritage Regina for making this possible!